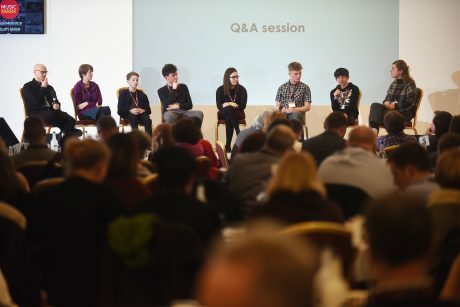 From the 22nd to the 23rd of November, the Music Mark Annual Conference 2018 brought together over 350 delegates to discuss Youth Voice in music education. For two days, heads of Music Services/Hubs, leaders of specialist organisations and charities, as well as academics, teachers and corporate partners, gathered to discuss the current state of music education and its future. 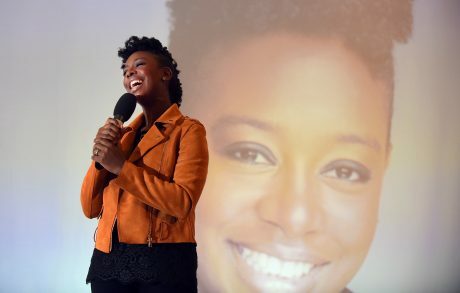 Amongst the line-up, there were keynote speeches by YolanDa Brown and Faz Shah, youth-lead panels and breakout sessions, presentations from Duncan Mackrill and Dr. Ally Daubney with their latest research on the falling provision of secondary music, as well as an overview of Ofsted’s new Inspection Framework by Susan Aykin, Her Majesty’s Inspector and National Lead for Visual and Performing Arts. It was a packed conference, with the young contributors ensuring presentations were through-provoking, refreshing and with plenty of food for thought. A social media take-over from young journalists Jack and Sam from Voice magazine ensured both delegates and those tuning in remotely were kept up to speed on Twitter, Facebook and Instagram. 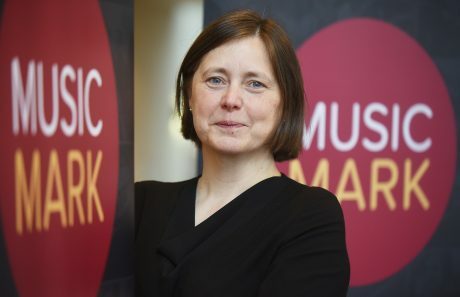 The latest consultation of Music Mark members on the current National Plan for Music Education was presented Friday morning by Music Mark’s CEO Bridget Whyte. Her presentation included key recommendations for the Department of Education for a revised National Plan. Here below is her speech in full. “Thank you James and can I also welcome everyone to the second day of our conference. As a collection, the responses (of something like 500 to 600 people) reflected a diverse range of opinions, mirroring the diversity of Music Education Hubs around the country, and how each hub works in a different way to deliver the government’s core and extension roles for hubs within the National Plan. Broadly speaking, each hub has developed operational activity to meet its understanding of the role it is required to fulfil as part of the National Plan for Music Education. And each hub has done this whilst striving to meet the needs of its local children and young people, schools and community. The lead organisation within the hub has also worked hard to develop as robust a business plan as it can, outlining not only its hub responsibilities but also the wider work it does beyond its role as hub lead – ie as a music service. As an overall recommendation, from the feedback we have received, there is a consensus that any updated National Plan for Music Education, should build upon the content and aspirations of the 2012 National Plan. However, a new plan must also take into account what Music Hubs have learnt and recognise the significant educational and cultural changes which have taken place over the past few years. Music Education Hubs are working. The model of having a lead hub partner who is in receipt and accountable for any DfE funding allocated for enhancing music education provision, through a set of specific roles, should continue. This ring-fenced funding should not be devolved to schools or be used to replace school funding for statutory provision. However a copy of the new or revised National Plan for Music Education must be sent to all schools and governing bodies in the country, so that they are aware of their role within the government’s vision, as outlined within the plan, for Music Education. The plan is not a plan for Hubs, but a plan for all those involved in the education of children and young people in Music, but if, as was the case with the current plan, schools and other music education providers are not aware of it, how can they play their part in its delivery?! More can, and should be done, to strengthen the Music Education Hub commitment to partnership. The Music Education Hubs need to remain committed to both sharing musical skills and knowledge within and across their musical communities and professional groups, and be committed to further developing musical skills and knowledge through training. There needs to be more clarity of the relationship between the National Curriculum for Music and National Plan for Music Education. One interesting suggestion put forward during the consultation was that this could perhaps be done by replacing the current core roles outlined as the responsibility of Music Education Hubs, with statements which encourage them to enhance opportunities to compose, perform and listen/understand music. Could there be a statement that ensures music hubs support and partner all their schools in the provision of each of these three activities at each stage of learning? A school is responsible for its curriculum, but the organisations that make up the Music Education Hub can and should be able to provide schools with support, and this could perhaps be tagged with these headings to help everyone see the connection between the aims of classroom teaching and the enhanced opportunities provided by the Hubs. There is agreement amongst those we consulted that the government should let each Music Education Hub be locally accountable for its role in the implementation of the core and extension roles. This would mean that activities such as whole class ensemble teaching, singing development and performance opportunities are developed as appropriate to local needs. Obviously there needs to be a national commitment to diversity, inclusion and musical quality for all children, but how that is delivered in each locality might vary based on contextual circumstances. We noted from the consultation that many are calling for clearer statements about music education for children with disabilities, and for there to be a focus on inclusion. And finally, there was a call to change the reporting and accountability framework linked to the Department of Education’s funding for Hubs. The shift would be from simply counting and celebrating the numbers of children participating in activity, to Hubs presenting the successes and challenges they have faced in delivering activity, and to identifying and stating how work is delivering value for money in terms of quality outcomes and the wider social impact. As I said, the full report is on our website and we have limited time this morning, so rather than going into further, more detailed, analysis of each of the 7 points here, I thought I would particularly focus on the discussions around the role of schools, and the National Curriculum, within the current and any future National Plan. I am looking forward to hearing from Duncan and Ally about the University of Sussex research and from Susan about the new Ofsted Inspection Framework, both of which I am sure will have an impact, hopefully a positive one, on music education provision in schools going forward. However, one thing that has been made crystal clear with the consultation Music Mark has done over the past 9 months, is that the National Plan for Music Education is not having the government’s desired impact in schools. The 2012 plan highlighted a clear role of schools in the music education of children and young people and saw Music Hubs as providing support and enhanced opportunities beyond the provision they expected all schools to provide. However, many responses to our consultation stated that few schools even know about the Plan, and for the few who do there is confusion as to how it fits with the curriculum. The word ‘patchy’ can be defined as uneven quality or performance, and you’ll be aware that it’s a word which has been used to describe the network of Music Education Hubs. Personally, I think a better term for hubs is diverse, but I do think ‘patchy’ could be a very good descriptor for schools. Patchy in their provision of music and patchy in their connection to their music education hub. It’s like the poem about the little girl who had a little curl…. When a school is good it’s very, very good, but when it is bad it’s horrid! Well, perhaps that’s a little extreme, but the discussions I was involved in during the Music Mark’s consultation sessions, highlighted the really diverse levels of success Hubs have had in building relationships with schools as well as the range of schools’ approaches to using the hub as a resource. In February, Music Mark will be holding a symposium to discuss the role of Hubs in the delivery and support of Music education in Key Stages 3, 4 and 5. It’s sure to include some lively discussion and we hope will result in a consensus across the country of the role all hubs might play in increasing access and opportunity for young people from 11yrs onwards. But we also need to think about how to support primary schools. Threaded through the Music Mark consultation, and indeed many of the other discussions and debates I have attended over the past year, has been the importance of, and need for more, training of the teachers who are expected to open up the world of music to children in Key Stages 1 and 2. Generalist teachers and music coordinators and also those teachers within hubs who are involved in whole class ensemble teaching have been cited as needing help. From my experience I don’t think we are going to easily increase the training primary school teachers get prior to entering the classroom, but I do think the plan could put more emphasis (and financial support) on hubs taking a central role in sharing and passing on the skills and knowledge they have. One sentence within our report sums it up for me. We should find ways to Empower teachers in schools through education and support, and I think this is particularly crucial for primary teachers. You will have seen the statement the ISM and Music Mark put out last week, as the two Music Subject Associations, which called for all secondary schools to better equip themselves to deliver the music curriculum and enrichment opportunities they should provide. I am sure Deborah – CEO of the ISM – would agree with me that, whilst we can probably not call for a full-time music teacher in every primary school, there should be skilled teachers in place, or available across clusters of schools, to ensure children at key stages 1 and 2 receive their entitlement to a music curriculum and additional enrichment opportunities as well. Indeed, this expectation of a school-based music education should be for all children including children with disabilities who attend specialist schools. Before I finish, I would like to turn from the research Music Mark has been carrying out with teachers and leaders in music education, to the Children and Young People whom we work with. Last week Sound Connections and Essex Music Hub released a report which gave a summary of the findings of their consultation of young people in Essex. The written report and infographic contain some interesting findings and recommendations, and I’m sure Philip and his team will reference much of what they found later in their breakout after lunch. However, some of the headlines from that research got me thinking of additional points I need to make in my 1-2-1s with the DfE about the National Plan. Young people feel music is important in their lives – this consultation report that 40% said that music is part of their daily life. Listening to live music was voiced as the most popular music activity to engage in, followed by performing, with 50% of those consulted having been to a concert/performance. Activities being local is an important factor in whether or not they feel able to participate. The biggest barriers to participation are time and cost – they would like more free or affordable activities and equipment to help them take part in more music. And finally young people would like to see a greater range of music genres supported and promoted. Pop music is current the top genre that young people in Essex like to listen to, followed by rap and rock. When considering what a future National Plan might contain, let’s hope that the government will reflect on research such as this, and indeed provide the opportunity for young people’s voices to be heard during any consultation they might commission during any review process. For now however, we are yet to hear any official announcement from the DfE of their plans for the future of the National Plan – despite having been told a few times that we would hear something in the autumn. However, whilst we wait, rest assured that Music Mark will continue to highlight the thoughts of its members and the children and young people they work with, to the sector and, more importantly, to government. A high quality, well resourced, joined up and equitably accessible music education provision for all children and young people in England (and indeed across the UK) is essential, and Music Mark will continue to act as your champion for this.